(Bloomberg) -- In oh-so-pricey New York, a one-night stay at a Courtyard by Marriott can cost north of $1,000 during peak periods such as New Year’s Eve. If you’re seeking some semblance of smart design or luxury, good luck finding a halfway-decent room for under $500 a night. 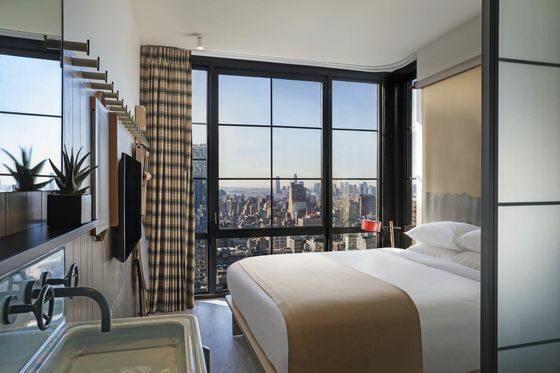 But after years of pushback from developers dead-set on maximizing per-room revenues, hoteliers are finding a new way to offer more bang for travelers’ bucks all across Manhattan—whether they’re looking to pay $200 a night or $2,000. 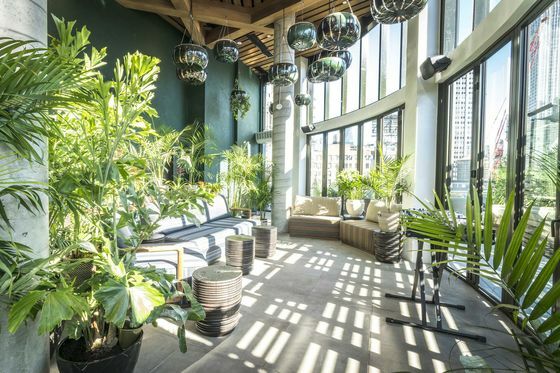 New brands such as Sister City, a spinoff of the hyper-successful Ace Hotels, and Equinox, with its fitness-first concept, are being incubated in Manhattan’s fastest-evolving corners, from the Lower East Side to Hudson Yards. Other upstarts are offering edgy design schemes and starter rates on par with Holiday Inns. Meanwhile, rarified brands Six Senses and Aman will soon push the city’s standards of luxury to even higher planes when they make their U.S. and east coast debuts. The variety of these openings is alone noteworthy; their volume is practically unprecedented. In short, New York’s hotel scene has long struggled to feel as innovative as the city around it. Not anymore. Two main factors are changing the economics—and thus, the offerings—of hotels in New York. The soft real estate market, for one thing, has residential developers partnering with ultra-luxury hotel brands. Four Seasons’ chief executive Alan Smith said at a travel industry conference in fall 2018 that his branded residences generate 30 percent premiums to competitive products in the market, a figure corroborated by London property-consulting company Savills Plc. Hanson estimates that number as closer to 10 percent in New York, but agrees that branded residences command top dollar in a red-hot market while incentivizing sales in a slower one. For a bonus, multimillion-dollar condos greatly offset those hefty hotel development costs. 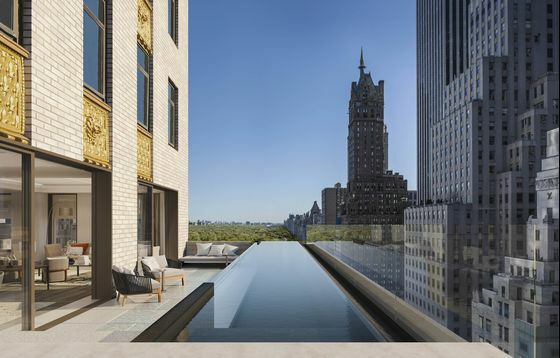 That’s the thinking behind Aman’s long-awaited entry to New York, which will include 83 hotel rooms and 20 apartments—including a $50 million penthouse—in the Crown Building on 57th Street and Fifth Avenue. When it opens late next year, its guests be paying upwards of $2,000 per night for an entry-level room (possibly a city record breaker). 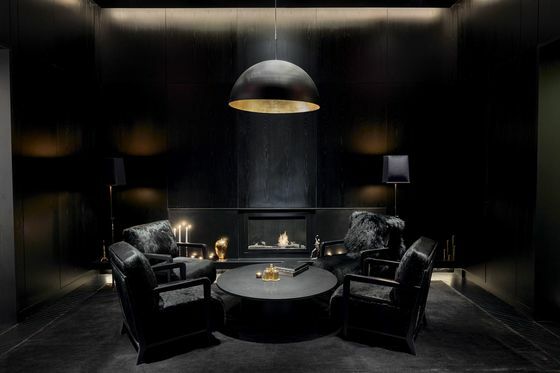 Aside from their Zen-inspired quarters they’ll have access to a members’ club and medi-spa stocked with a new line of Aman skincare products. 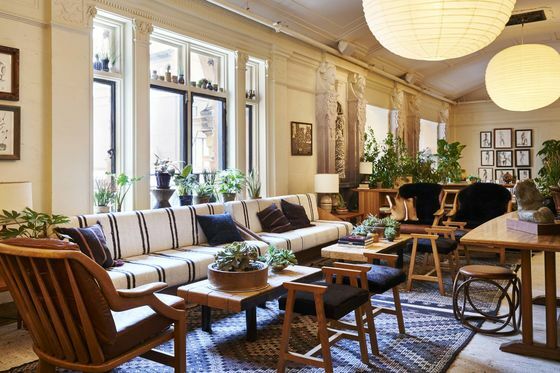 Meanwhile, on the boutique hotel front, the second factor—the growing importance of common spaces (rather than rooms) to a hotel’s bottom line—has operators learning to do more with less. Newer “micro-hotels” balance tight room layouts with high-design standards and larger, more enticing common spaces. It started with Arlo Hotels—a brand that debuted in Hudson Square in 2016 and will have three Manhattan outposts when its midtown location opens next year—and was followed by Moxy, Freehand, CitizenM, and Ace Hotels offshoot Sister City, all in the past year. 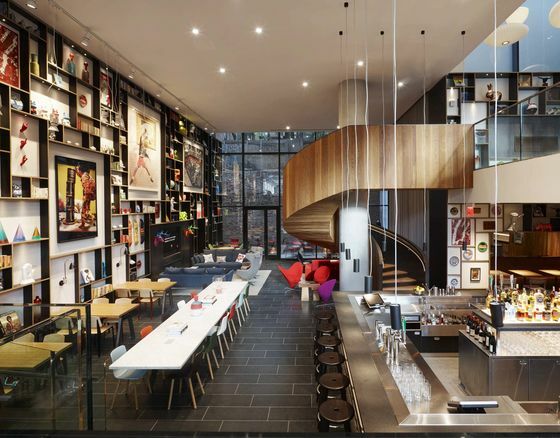 “People don’t tend to hang out in their rooms, anyway,” says Lightstone Group’s Hochberg, who developed the newly opened Moxy Chelsea. Instead, they hang out at Feroce, an all-day, street-level restaurant run by Tao Group; they can also head upstairs to a modular lounge space whose furniture is designed to collapse or expand, so that guests can use it for co-working, meetings, or happy hour drinks. “So much space is wasted in a traditional hotel,” Hochberg explains: Maximizing value from each square foot is essential to maintaining his (and his guests’) bottom line. 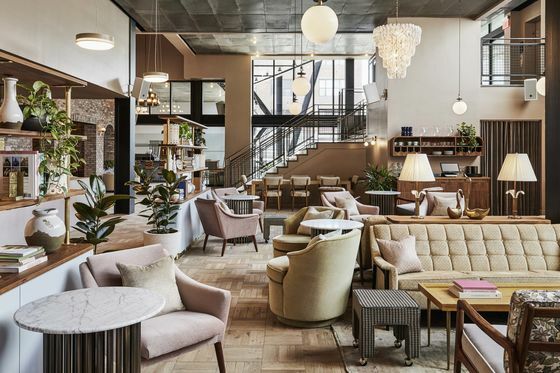 Sharan Pasricha, chief executive officer of hospitality development company Ennismore, shared that philosophy when opening New York’s first outpost of beloved London brand Hoxton in Brooklyn in fall 2018. “Today, you can extract value by monetizing every bit of space. Rooftops have become revenue-generating. Ground floors have become community melting pots. Bakeries, flower stores, coffee shops—they’re all revenue-generating toys, as we call them,” he explains. Give people all those venues to play and spend money in, and you can maximize profit with smaller rooms and lower prices. When Ian Schrager opened the Public in the Lower East Side nearly two years ago, he called it his most “democratic” project to date, with $150-per-night rates. Now its rooms are consistently listed at $375. At Sister City, where introductory rates started at $99 just a few weeks ago, late-spring prices are already approaching the $300 mark. And at Moxy Chelsea, $159 starting rates are inching closer to $400. Citywide occupancy rates still exceed national averages by roughly 20 percentage points, says hotel consultant Hanson, with 6 million room occupancies in New York projected for this year alone. This means demand is high—and even “democratic” hoteliers can be tempted by the city’s favorable ratios of supply and demand. Still, value is increasingly important to these hotels’ missions. A twist on the loyalty program at Sister City encourages guests to sign up for free memberships and book directly with the hotel to get discounts, sidestepping costly commissions to big booking sites such as Expedia or Kayak. 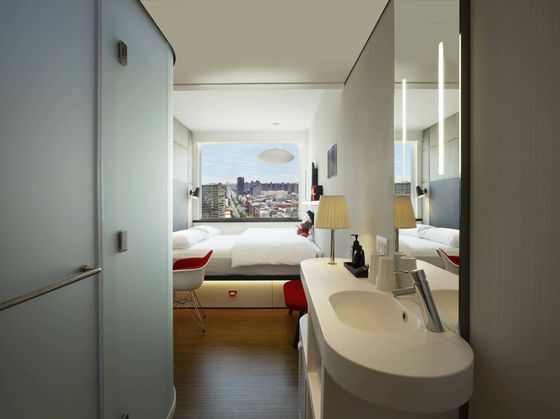 And at CitizenM’s new location on Bowery near the New Museum, modular construction was used to keep building costs—and therefore, room cost—low. New York’s latest entries, and how to choose between them. Freehand Hotel New York: Book a suite to avoid feeling as if you’re sleeping in a gussied-up dorm room. Then set your alarm earlier than you need to: Breakfast here is one of the best in the city. Made Hotel: Lots of outdoor spaces (including the rooftop tiki bar, Good Behavior) and a central (if slightly offbeat) location on West 29th Street make it an appealing midtown option. 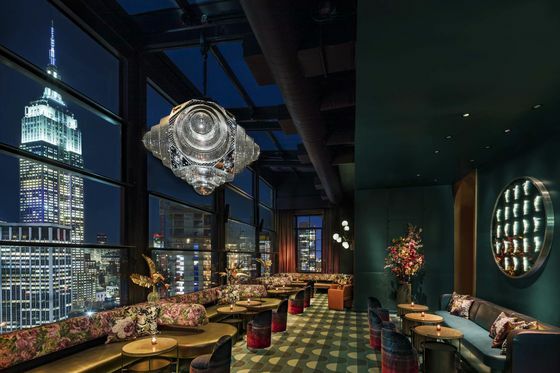 Times Square Edition: Ian Schrager’s latest project includes a handful of ambitious restaurants by John Fraser, a black-and-white-on-white color scheme, and Blade Runner-style terraces that make Times Square look tiny.